MOTOBUYS.COM is so sure that we will save you money that we now offer our price guarantee! If you find a lower advertised price from any authorized U.S. dealer on an in-stock product, call or email us and we'll beat any verifiable price. No need to search any further, Motobuys.com will save you money everyday on every product and we guarantee it! Motobuys has partnered with BUYSAFE to provide you added peace of mind over your recent purchase. Buy-Safe has determined that Motobuys meets Buy-Safe accreditation standards, which include a commitment to make a good faith effort to resolve any consumer complaints. * How do I place an order without using a credit card? * How can I tell if the products I am ordering are in stock? * How long does delivery take? * I need my order by this weekend. Do you offer expedited shipping? * I cannot find the item I am looking for. * Why does my backorder item time arrival keep changing? * How long do backordered items usually take? * What is your return policy? * How long does the return process take? * What do I do if I receive my order and the package is damaged/missing items? * Why is the online price different than what is shown in the store? * Do you ship international or APO/FPO orders? * Can I ship to multiple addresses? * Will I be charged tax? * Why am I charged a recycle fee on tires? * What about vehicle setup & assembly? MOTOBUYS.com offers a wide range of payment options for your convenience. You can place on order through the mail using a personal check or money order. Don�t want your Credit card on the WEB! We gladly except all major Credit/Debit card payments over the phone at 877-667-6289. Orders that contain in-stock items usually ship the same day if received by 1:00pm PT (4:00pm EST). How can I tell if the products I am ordering are in stock? After an item is added to the shopping cart, we will send you a confirmation e-mail within 24 hours. MOTOBUYS.com ships via Ground using UPS, FED-EX and USPS as its carrier to the 48 continental United States for all accessories & gear purchases. Vehicle purchases are shipped via designated truck carriers. Approximate shipping times: Accessories & Gear Purchases: 2 to 5 days Vehicle Purchases: 5 to 7 Days. Expedited vehicle shipping is available for a small fee. Shipping Times are average estimates and shipping times may vary. Business day means Monday through Friday, except the following holidays: New Years Eve, New Year's Day, Thanksgiving Day, the day after Thanksgiving, Fourth of July, Christmas Day, Labor Day and Memorial Day. Air service delivery orders placed before 1:00pm PT will be shipped within 24 hours, pending inventory availability. Next Day Air: Delivered the day after the order is shipped. If the order is shipped on Friday, it will not be delivered until Monday. To guarantee delivery on Saturday, Next Day Saturday Delivery service is required. Saturday Delivery service is an extra charge. Please call customer service at 877-667-6289 to inquire about Saturday delivery. 2nd Day Air: Delivered 2 days after the order is shipped. If the order is shipped on Friday, it may not be delivered until Tuesday. 3 Day Select: Delivered 3 days after the order is shipped. If the order is shipped on Friday, it may not be delivered until Wednesday. Free shipping utilizes UPS, FED-EX or USPS for the ground and 2-day air shipping services based on shipping locations for accessories & gear purcahses. The option to choose which carrier delivers the package is not available. Vehicle purchases are shipped truck carriers. Your vehicle delivery will not be delivered with out a signature Our shipping carriers WILL contact you to arrange delivery one to two days prior to delivery. Remember, delivery can take an average of anywhere from 3-10 business days from your order date, depending on your location, weather, traffic conditions and time of the year. We use UPS, FEDEX, Roadrunner, Con-Way and other major carriers for shipping on all vehicle orders. Accessories i.e Helmets will arrive seperately from your vehicle via http://www.ups.com/ . See our FAQ Page for Detailed Infomation or contact us 877-667-6289 M-F 9-5 PST. I need my order by this weekend. Do you offer expedited shipping? MOTOBUYS.com offers a variety of expedited shipping services to get an order to you by the weekend. Next Day Air: Delivered the day after the order is shipped. If the order is shipped on Friday, it will not be delivered until Monday. To guarantee delivery on Saturday, Next Day Saturday Delivery service is required. Saturday Delivery service is an extra charge. Please call customer service at 1-877-667-6289 to inquire about Saturday delivery. 2nd Day Air: Delivered 2 days after the order is shipped. If the order is shipped on Friday, it may not be delivered until Tuesday. 3 Day Select: Delivered 3 days after the order is shipped. If the order is shipped on Friday, it may not be delivered until Wednesday. I cannot find the item I am looking for. If you are unable to find what you are looking for, please call 877-667-6289 and talk to one of our knowledgeable sales representatives. Why does my backorder item time arrival keep changing? How long do backordered items usually take? Items that are on backorder normally arrive to us in 5-7 business days. MOTOBUYS.com has shipments arriving daily. To check on the status of your order, call us at 877-667-6289. If by some chance we are unable to fulfill your backorder, orders are canceled after 60 days and notification is sent. You do have the option of extending your backorder by calling or emailing before the cancellation date. If you want to return accessory or apparel item simply send us an e-mail to sales@motobuys.com Freight must be paid by the customer. On each item returned for refund rather than exchange, there will be a 20% restocking fee. There is no restocking charge on an exchange; only a reshipment fee applies. 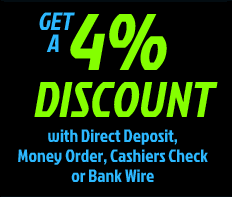 Deposit orders are subject to a cancellation fee. Items returned for exchange and refund must be returned within 14 days from receipt date in original and unused condition (unless defective). Most returns are processed 2-4 days from the time that they are received in our warehouse. Orders taken by credit card will have their credit card refunded 5-7 business days from the time the package was received in our warehouse. If you requested an exchange, the return should be processed and on it's way back to you within 2-5 business days from its received date. What do I do if I receive my order and the package is damaged/missing items? Most claims can be corrected with a few simple replacement parts that we will ship to you immediately after claim is approved. 1. 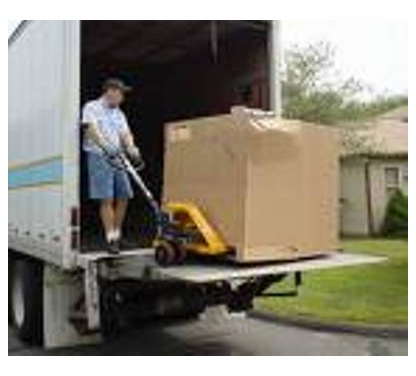 Upon arrival of your vehicle fully Inspect entire unit BEFORE signing the delivery receipt. In case of any damage presence, you must note the damages on the delivery receipt and have the driver sign in acknowledgment. (DO NOT REFUSE DELIVERY) email a copy to sales@motobuys.com or Fax the delivery receipt to Motobuys at 818-347-6163 within 3 days of delivery. Failing to do so will void the claim. 2. All noted damage must be reported to Motobuys via e-mail within 3 days of delivery. 3. Please save original packing material for investigation by the shipping company. Please take pictures of the damaged vehicle, crate and cardboard cover and send to sales@motobuys.com within 3 days of delivery, please include your order number, your name, address, phone number and tracking number. 4. We will then file a shipping damage claim with the trucking company and the merchandise will be inspected by a one of there representatives at the trucklines option. 5. Replacement part(s) or non-repairable vehicle warranty reimbursement will be given once we receive your complete supporting documents for the damage claim; and or the trucking company has settled and approved the claim. Our sales representatives will inform you of any price changes that may have occurred when you are placing your order. We can not honor typographical errors on our website or catalog. Sale and closeout item prices featured on the website are valid for internet orders only. Do you ship international or APO/FPO orders? We do ship internationally. All orders are shipped via United States Postal Service. We cannot ship chemicals international or to an APO/FPO. We accept payment in US Funds only. We mail at postage rate card rate for most countries. Please consult your local bank or post office to determine duty or exchange rates. Please call 1-310-598-2901 to place an international order. At this time, we can only ship orders to one address. -------------------------------------------------------------------------------- HOW YOUR VEHICLE IS SHIPPED Unless otherwise specified, the vehicles we offer are crated and on a palette. They are 95% assembled and just require a few basic tools to complete. Typical Dirt Bikes- Front tire, Handlebars, Rear shock Depending on the unit, you may have smaller things to install like foot pegs and/or gas cap. The bikes will come with oil already in them. Typical ATVs- All 4 tires, Handlebars, Utility racks (if included) Depending on the unit, you may have smaller things to install like foot pegs, mirrors and/or gas cap. The bikes will come with oil already in them. Typical Scooters- Battery, Front Tire, Mirrors, Rear Storage Box, Windshield Most of the time, scooters will be fully assembled. The scooters will come with oil already in them. Typical GoKarts/UTVs/CUVs� Tires, Seats, Top roll cage bars, Steering wheel, and likely a few other small parts. The units will come with oil already in them. What about vehicle setup & assembly? Remember that by purchasing a vehicle online, you are responsible for performing the setup that a dealer would normally perform - such as putting on tires, hooking up the battery, checking tightness of all nuts and bolts, changing oil, etc. Occasionally some units may need other routine items checked/adjusted such as adjusting the carburetor idle and mixture screws, checking to ensure wires are well connected, adjusting chain slack and alignment, if needed. Although you may perform your own assembly please check the machine you are purchasing to validate if your warranty supports self assembly. Most warranties require for good reason a certified mechanic to check and validate the mechanical well being of your new purchase. We will gladly assist you with any technical questions. We have prepared assistance for you to help properly maintain your new purchase! IF YOU ARE NOT COMFORTABLE ASSEMBLING A GAS MOPED, MOTORCYCLE, SCOOTER, ATV, DIRT BIKE, OR ANY GAS OPERATED PRODUCT, WE SUGGEST YOU HAVE A LOCAL MECHANIC ASSEMBLE AND PREP IT FOR YOU. The Factory Parts Warranty covers any manufacture defect part that are not damaged or broken while riding. The Factory warranty covers motor parts for 3 to 6 Months depending on model, (or unless an extended warranty is purchased) from the date of purchase, the factory warranty only covers motor and electric parts and the parts must be sent in for replacement as required by the factory. The warranty does NOT cover wear and tear parts such as tires, wheels, brakes, clutches plastics and the initial setup costs OR ANY LABOR. The buyer must diagnose any issues and you can call our tech support assist you to diagnose the problem. Parts for replacement must be shipped back and the new part will then be shipped to you. By purchasing any items online (this website) or off-line (via phone or in person), I, as buyer, acknowledge and agree to be above 18 years of age. Buyer understands and agrees that what is posted in writing on this site are the only descriptions and features motobuys claims or offers on any vehicle for sale on this site. Buyer acknowledges to have read and understands the terms and conditions of sale, vehicle listing, description, tech information and features, and by purchasing any vehicle online (this website) or off-line (via phone or in person) has been been informed via the written listing on this site of the vehicles features, description as well as terms and conditions of sale and return policy. Buyer fully agrees that any and all issues will be handled in accordance with the binding terms and conditions of sale policy (found here) and the warranty policy clearly stated on the items listing page. Motobuys reserves the right to refuse service or sell to, cancel orders and or refund payments to anyone. Motobuys reserves the right to change or delete vehicle as well as gear (accessories) listings. Motobuys reserves the right to change feature listings without notice and to ship the new item models without notice as models change. Prices, specifications, and images are subject to change without notice. Buyer acknowledges and agrees that Motobuys.com is not responsible for listed features, typographical or illustrative errors. The pictures provided on this website are only a representation of the actual product being sold. On occasion the factory may without notice make changes to any product that are not represented in the pictures provided. We will make every attempt to keep all of our pictures, specifications, and color changes as up to date as possible. At no point will Motobuys be held liable for factory authorized changes in design, specification, or color variations. The pictures provided on this website are only a representation of the actual unit being sold. On occasion the factory may without notice make changes to the units that are not represented in the pictures provided. Motobuys will make every attempt to keep all of it's pictures, specifications, and color changes as up to date as possible. At no point will Motobuys be held liable for factory authorized changes in design, specification, or color variations not represented by our pictures or specification sheets. Important Limitations on your rights: I, as buyer, have carefully read the Terms and Conditions agreement as well as the warranty policy and acknowledge that I understand and agree to all the Terms and Conditions and Warranty Policy. I have had the opportunity to ask any and all questions regarding this Agreement and Warranty and how they relate to my purchase. I, as buyer, am aware that by purchasing this item and sending/remitting payment for any item(s), I assume all risk, and waive and release all legal rights that I may have or possess. I, as buyer, therefore release all liability and waive all Legal rights I may have in and with any items purchased from Motobuys. Any and all issues or problems will be solved in accordance to the terms agreement and warranty policy specified in this binding contract. By purchasing a product from Motobuys, once order has been shipped you agree that you waive your right to any chargeback on your credit card or Pay Pal account under any circumstance (except non-receipt of order) and will handle any and all issues in accordance to our terms and conditions policy and warranty policy. You (by purchasing from Motobuys) agree that Arizona or California law (regardless of conflicts of law principles) shall govern this Agreement, that any dispute arising out of or relating to this Agreement shall be subject to the exclusive venue of the federal and state courts in the State of Arizona or California at Motobuys sole option, and that you submit to the exclusive jurisdiction of the federal and state courts in the State of Arizona or California. The failure of Motobuys to exercise or enforce any right or provision of the this agreement shall not constitute a waiver of such right or provision. The failure of Motobuys or You to exercise in any respect any right provided for herein shall not be deemed a waiver of any further rights hereunder. This Agreement, accepted by You, upon Your purchasing from Motobuys, contains the entire agreement between you and Motobuys. If any provision of this Agreement is held invalid, the remainder of this Agreement shall continue in full force and effect.